Anna Piperato, tour guide for Rick Steves’ Europe and a freelance translator (formerly IES Abroad-Siena), will give a talk at Washington and Lee University on Jan. 23 at 5:30 p.m. in Northen Auditorium, Leyburn Library. Rick Steves is America’s leading authority on European travel. Piperato will speak on “The Many Faces of Catherine of Siena: 14th-Century Mystic, Political Activist…Trouble.” The talk is free and open to the public. It is sponsored by the Italian Studies Cohort and the Department of History. 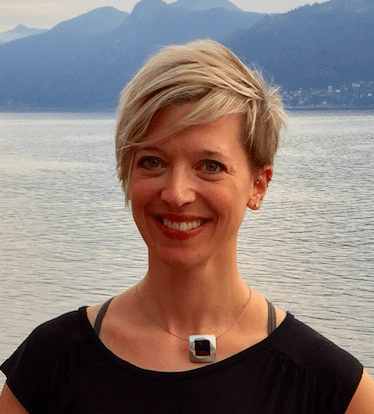 Prior to her current position, Piperato taught at IES Siena, was assistant professor of art history at High Point University and visiting professor of Sienese history at Villanova University at Fondazione IES Abroad Italy in Siena, Italy. She is the author of “Diaro di un’americana” in “Romolo & Remo: Periodico della Contrada della Lupa” (2011) and “The Palio of Siena: A Journey through Time” (2017), a book chapter for inclusion in a volume edited by Sarah Lippert. Piperato received her B.A. in art history from Skidmore College, Saratoga Springs, New York, and her Ph.D. in art history and visual studies from The University of Manchester, Manchester, U.K. She resides in Siena, Italy.